For Franklin & Marshall College student Greg Bolet, his interest in technology began in middle school writing code for robots. He turned to programing in high school, an experience that inspired him to consider computer science. 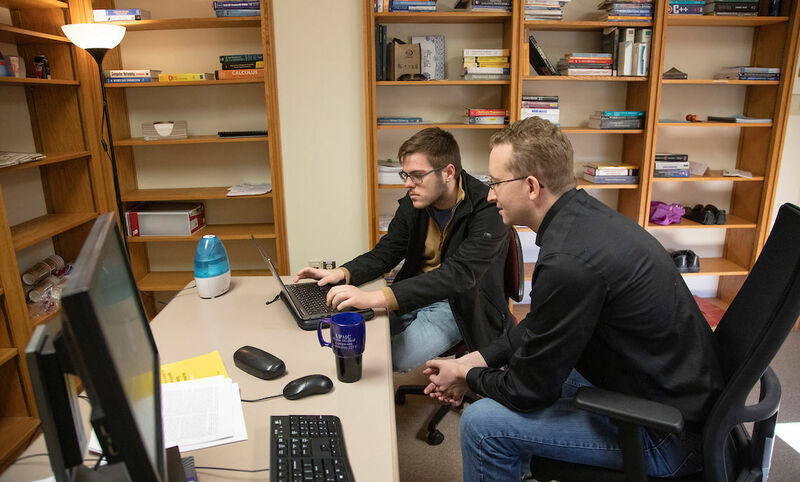 When Assistant Professor of Computer Science Joshua Booth met Bolet, the computer science and mathematics major was a sophomore. Last year, Booth invited the junior to work with him on his research—high-performance computing (HPC). To do this, they make solvable different computational methods, which Bolet has been doing by writing the theoretical algorithm and figuring out the mathematics to make it work. Booth rewarded his student’s “great work” by sending him to “Supercomputing 2018” for the undergraduate experience. Bolet was the first F&M student to attend the conference, considered the premier international event on high-performance computing. With the College’s connection to the networks Internet2 and Kinber, and having helped set up SCinet, “the world’s fastest and most powerful network in the world,” F&M was the only liberal art college to support the conference, Booth said. At the conference in Dallas, Bolet learned about different high-performance computing facets, explored graduate programs, and listened to researchers talk about their experiences with parallel computing. Bolet met one-on-one with top HPC researchers and heads of national lab programs, spoke to hardware vendors, and gathered ideas to help with future projects for other students at SC. “Through programs like this, we hope to expand our undergraduate footprint at SC and provide to our students more opportunity in this growing area that connects all areas of natural and social science,” Booth said. Among the notable researchers Bolet met were Jack Dongarra, a computer science professor from the University of Tennessee Knoxville who ranks the top 500 super computers every year, and Aydin Buluç, staff scientist at Berkeley Lab’s Computational Research Division.